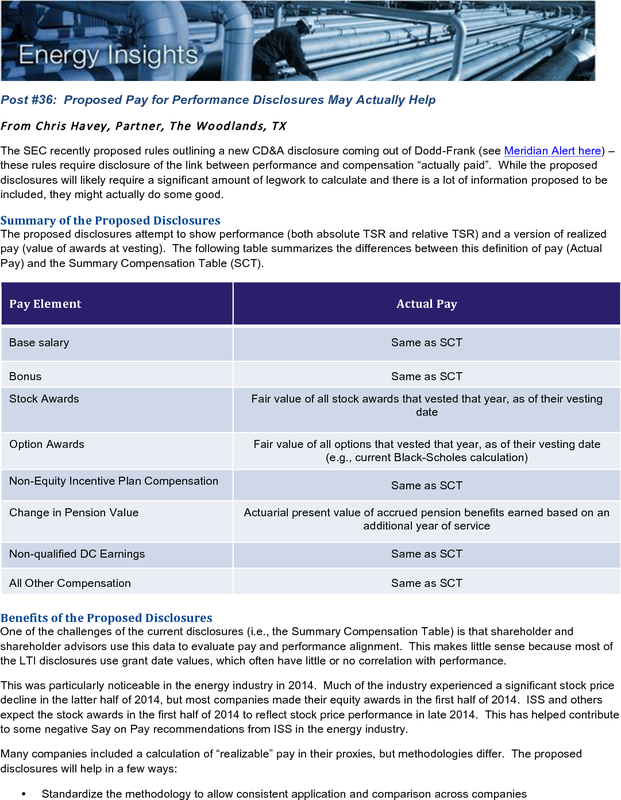 Benefits of the proposed disclosures include a standardized methodology for realizable pay and additional data that will facilitate shareholder analysis. The SEC recently proposed rules outlining a new CD&A disclosure coming out of Dodd-Frank (see Meridian Alert here) – these rules require disclosure of the link between performance and compensation “actually paid”. 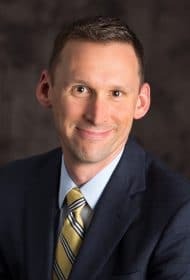 While the proposed disclosures will likely require a significant amount of legwork to calculate and there is a lot of information proposed to be included, they might actually do some good. The proposed disclosures attempt to show performance (both absolute TSR and relative TSR) and a version of realized pay (value of awards at vesting). The following table summarizes the differences between this definition of pay (Actual Pay) and the Summary Compensation Table (SCT). One of the challenges of the current disclosures (i.e., the Summary Compensation Table) is that shareholder and shareholder advisors use this data to evaluate pay and performance alignment. This makes little sense because most of the LTI disclosures use grant date values, which often have little or no correlation with performance. This was particularly noticeable in the energy industry in 2014. Much of the industry experienced a significant stock price decline in the latter half of 2014, but most companies made their equity awards in the first half of 2014. ISS and others expect the stock awards in the first half of 2014 to reflect stock price performance in late 2014. This has helped contribute to some negative Say on Pay recommendations from ISS in the energy industry. While the proposed rules have some flaws (they’re currently in comment period), the additional disclosures should help improve the analysis that shareholders rely upon to inform their Say on Pay votes and could actually do some good.